In partnership with local tour operators, the hotel offers a wide range of excursions and adventures for both individuals and groups. See more about the different adventure experiences below. There are lots of hikes available in Sisimiut’s backcountry. Set off, for example, on a hike to Præstefjeldet – a beautiful hike on a lush southward-facing slope with a view of the town and the surrounding landscape. The hike runs through green terrain populated by lots of bushes, flowers and mosses. Alternatively, you can hike to Teleøen or Kællingehætten, a 784-metre high fell which lies southeast of the town. The hike to Kællingehætten is one of the most demanding routes in the area. If you prefer easier routes, the pleasant walk on the gravel road out to the river east of the town is highly recommended. 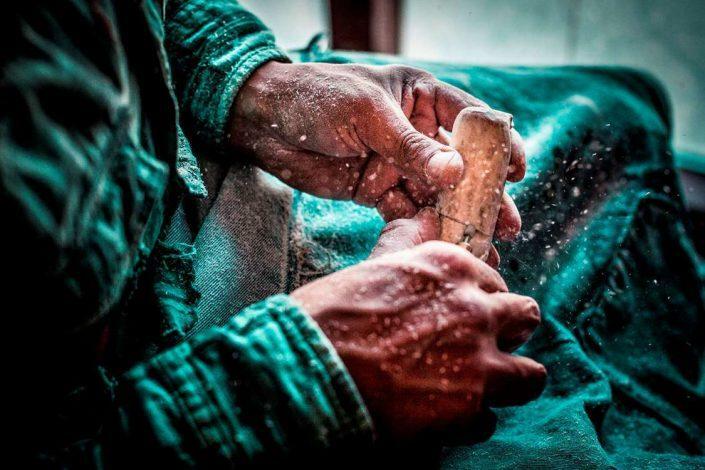 Despite a harsh climate and difficult living conditions, people have survived in Greenland for several millennia. Teleøen, Sallinnguit, is one of the places at which the past and present meet. Different Inuit cultures have lived in the area during the course of the last 4,000 years. The area has several remnants of the Saqqaq culture, large piles of stones that bear witness to old burial sites and remains of peat-walled houses. These historical relics lie side-by-side with the telecommunications installations that have given the town its modern Danish name. Hear about the history of the Inuit before the arrival of Europeans. Visit ruins and enjoy the beautiful view of the town and the old hunting and fishing grounds. At the hotel’s website you can find more information about prices and departure times. Go on a bus tour and get a good and concise impression of life in Greenland’s second biggest town. 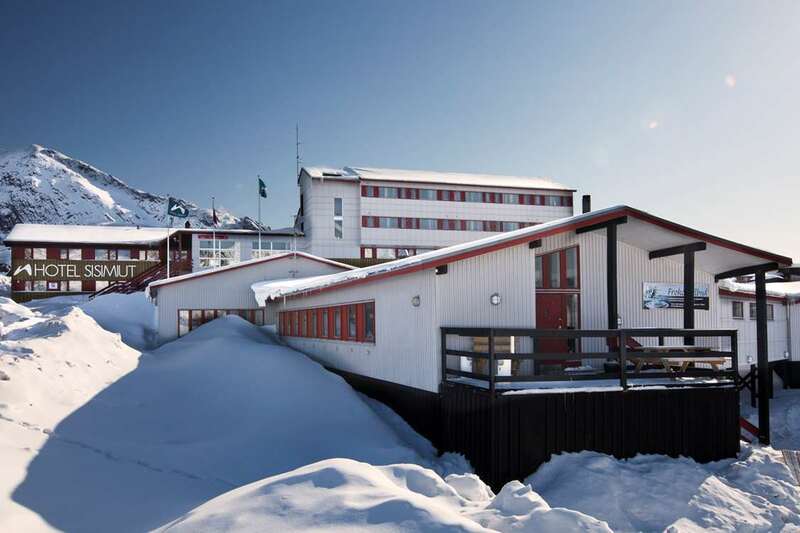 The tour starts at the former heliport, which was the only point of access to Sisimiut until 1998. The bus drives past the “board”, where the day’s freshly caught fish and animals can be found, before heading past the town hall on the way to the southern part of the town where many of the original houses of hunters and fishermen are situated. The bus drives up to the town’s highest vantage point. Here you can enjoy an impressive view to the south before the tour continues through the old quarter in the centre of the town, where the original buildings from the 18th century colonial period today make up the venue for the museum. The hotel restaurant, Restaurant Nasaasaaq, serves a combination of Greenlandic ingredients from a multicultural kitchen. It’s not unusual for ingredients such as halibut, Greenland halibut, prawns, lamb, reindeer, musk ox, angelica and blackcurrants to be used in the dishes. 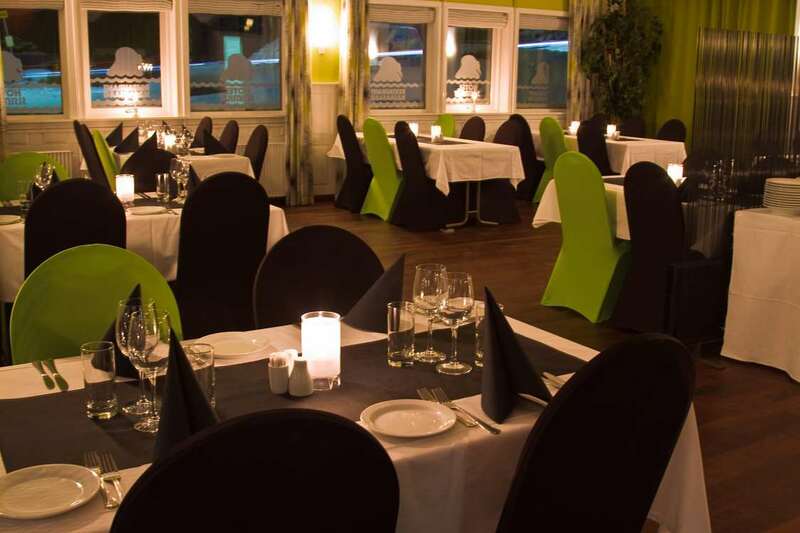 The restaurant combines these Greenlandic ingredients with the latest trends and developments in international cuisine. Sisimiut has several shops that are quite unique in terms of their selection of Greenlandic products. These include some of Greenland’s most advanced and innovative production of the particularly soft musk ox wool. 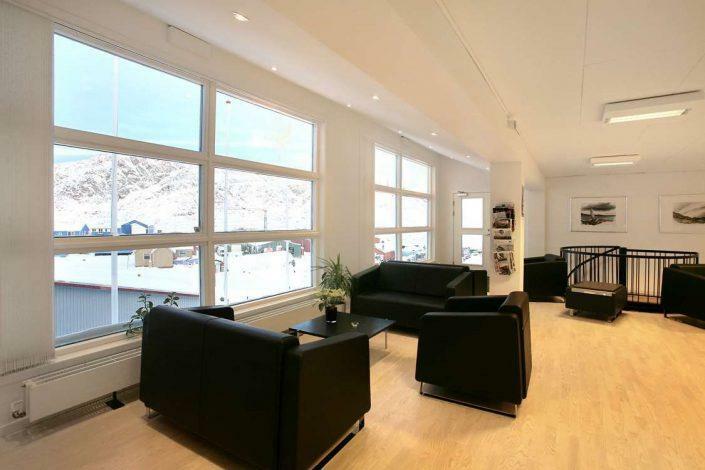 Qiviut is an innovative little shop that is located next to the museum and produces articles made of the finest hand-picked musk ox wool north of the Arctic Circle. Panigiit, which is a sewing workshop specialising in animal skins, is quite simply a treasure trove of Greenlandic industrial design, minerals and antiques. From Sisimiut there are no roads between the towns and settlements. The sea acts as the main highway and affords the best view of the scenery along the coast, settlements and the dramatic landscape. Embark on one of the boats that have space for 12 people. The captains on these boats know the waters and the “sweet spots” like no-one else in the area, and can tell stories you won’t find in any guidebook. Cross the Arctic Circle, go on a sea safari or on a mini-cruise to abandoned settlements and small coastal communities. 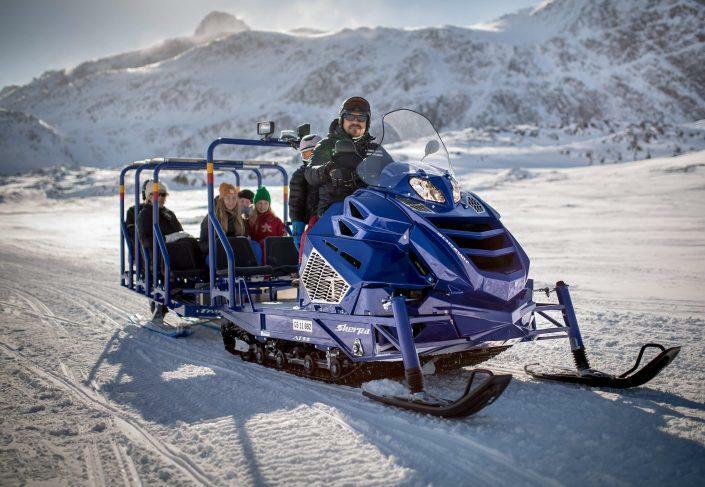 Experience reindeer, whales, hundreds of birds and perhaps land a fish – on boat trips, dogsled trips or on one of the many hiking trips. On tours with Hotel Sisimiut you have the chance to experience some of Greenland’s wildlife. If you have any special wishes, you can always contact the personnel and hear more about their excursions. 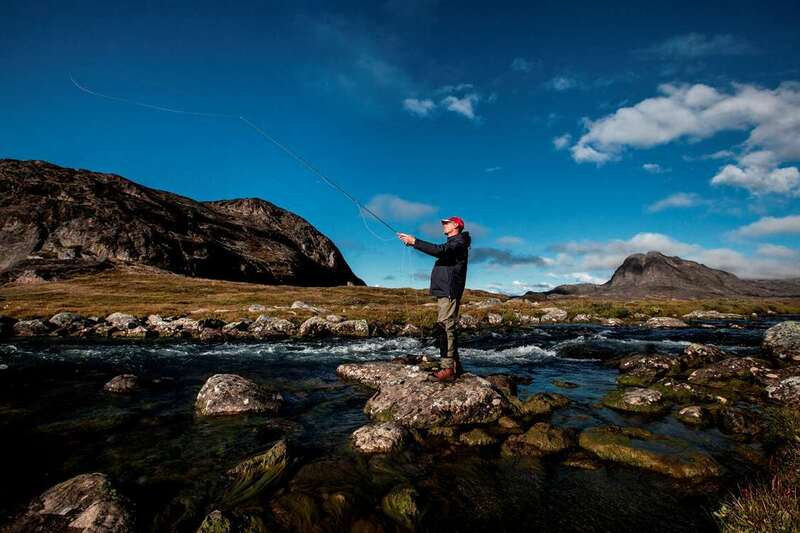 Go fishing with Sirius Greenland in some of Sisimiut’s legendary trout rivers. Fishing for Arctic char in the rivers is synonymous with exclusive fishing in pristine waters. With the rugged mountain peaks as a backdrop, you can be sure of a fishing adventure for life. There are plenty of Arctic char; the only question is who’ll catch the biggest one. 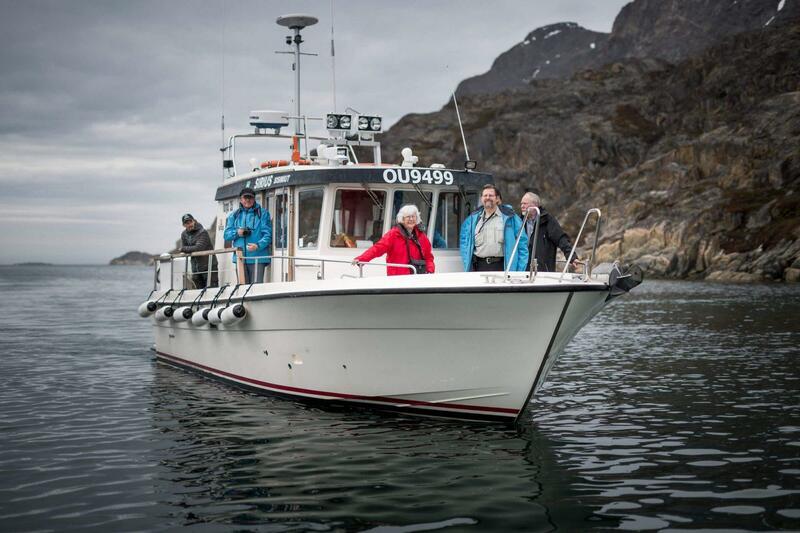 Sirius Greenland awards an attractive prize to the person catching the year’s biggest char. Discover Sismiut from a sled pulled along behind a team of baying dogs. 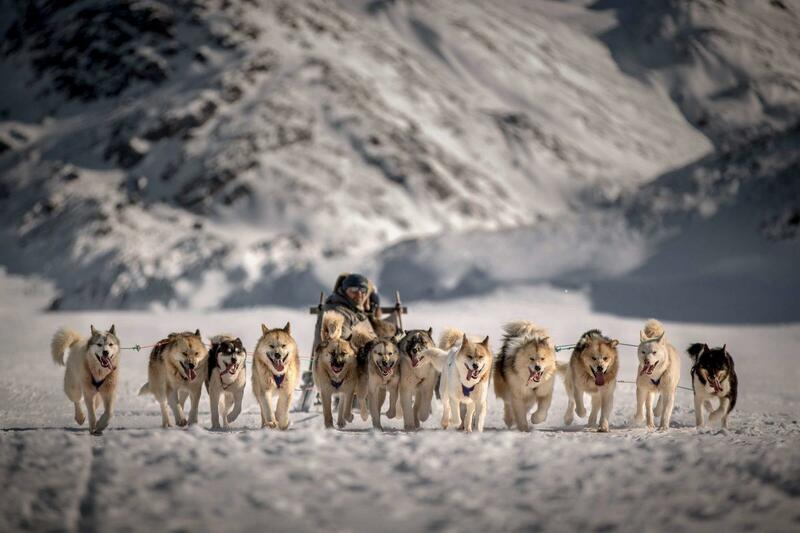 If you are in Greenland in the winter you simply cannot miss out a dog sled ride. Hotel Sisimut offers tours lasting a few hours giving you a feel for the area’s unique natural landscape. If you are looking for something longer, you can go for a two-day trip with an overnight stay. This trip is a little more strenuous, but you can look forward to seeing snow-covered mountains and you will get to see the close working relationship between driver and dogs. You will become part of the team and you will be taking part in the cooking and other activities. Sealskin clothing is available for hire for the trip.